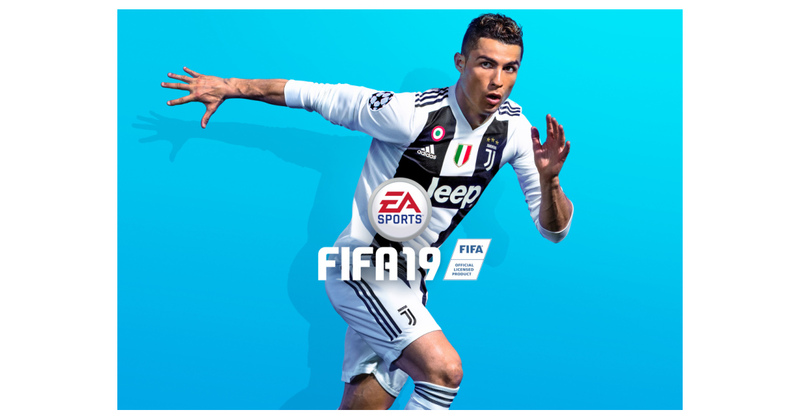 REDWOOD CITY, Calif.–(BUSINESS WIRE)–Today, Electronic Arts launched EA SPORTS™ FIFA 19 across PlayStation®4, Xbox One, and PC. Fans can achieve glory with the UEFA Champions League across a variety of modes including the new Kick Off, which also features ‘House Rules’ and deeper stat tracking to heighten the competition among friends. In FIFA Ultimate Team™, brand new ICONS join the roster, and an all new mode, Division Rivals, offers a new way to compete online. Additionally, the final chapter of the critically acclaimed story mode, The Journey: Champions, culminates with three playable storylines, each with their own distinct journey through an interconnected football story. Bleacher Report highlights that “this is definitely a FIFA to get excited about” and FourFourTwo says “FIFA 19 is a must-own”. Learn more about the available features and modes in FIFA 19 here. In The Journey: Champions, Alex Hunter returns to pursue UEFA Champions League glory with Real Madrid FC on PlayStation 4, Xbox One, and PC. Players can choose between three distinct storylines from Alex Hunter, Danny Williams and Kim Hunter. After signing with Real Madrid FC, Alex is thrust into the spotlight to come to terms with balancing stardom and family. Danny continues his career in the Premier League, challenged with taking on a new role for his club. Meanwhile, Kim finishes her last year of high school and faces big decisions about her future and the pressure that comes with playing football at the highest level in the Women’s World Cup. The Journey: Champions original soundtrack, featuring Oscar®-winning composer Hans Zimmer and composer Lorne Balfe, is also available now. Listen to it here. FIFA 19 also introduces new features on Nintendo Switch™, delivering a champion-calibre experience on and off the pitch. From live content updates in FIFA 19 Ultimate Team, to an authentic Career Mode, and the all-new standalone UEFA Champions League Mode, players can enjoy a full FIFA experience wherever they play. FIFA 19 on Nintendo Switch also brings distinctive team and player personalities, official broadcast presentations for some of the world’s biggest leagues and elevates players’ ability to finish with the all-new striking overhaul. FIFA 19 is developed by EA Vancouver and EA Romania and is available worldwide today for PlayStation 4, Xbox One, PC, Nintendo Switch, PlayStation®3, and Xbox 360 systems*. Join the EA SPORTS FIFA community on Facebook and on Instagram, or follow us on Twitter @easportsfifa. *NOT ALL FEATURES AVAILABLE ON ALL PLATFORMS. FROSTBITE GAME ENGINE AND THE JOURNEY: CHAMPIONS ARE AVAILABLE ON XBOX ONE, PLAYSTATION 4 AND PC PLATFORM VERSIONS ONLY. UEFA CHAMPIONS LEAGUE CONTENT AVAILABLE ON XBOX ONE, PLAYSTATION 4, PC AND NINTENDO SWITCH VERSIONS ONLY. THE JOURNEY: CHAMPIONS, UEFA CHAMPIONS AND ALL NEW INNOVATIONS ARE NOT AVAILABLE ON FIFA 19 LEGACY EDITION ON PLAYSTATION 3 AND XBOX 360. SEE HERE https://www.easports.com/fifa/champions-league-features FOR MORE DETAILS. EA SPORTS, Ultimate Team, Battlefield, The Sims, Need for Speed, Dragon Age, and Plants vs. Zombies are trademarks of Electronic Arts Inc. NFL and FIFA are the property of their respective owner and used with permission.